Using embedded and inline styles is a relatively straightforward process, it's the same workflow that you'd follow for vanilla HTML. 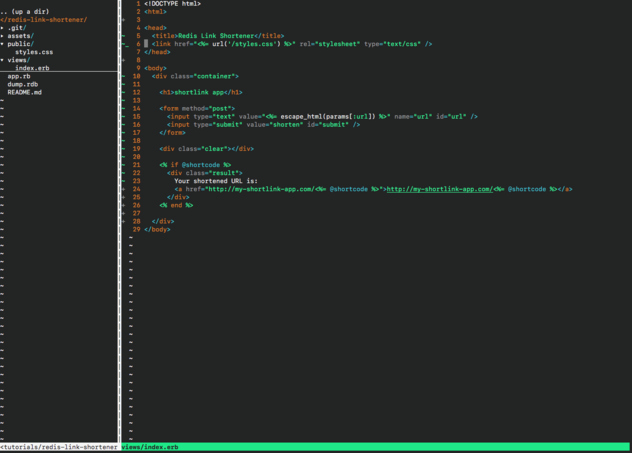 However there are a few gotchas when calling an external stylesheet. Now that we have this external call, where do we put the file? You might think that you would put it at the root of the application, since that is where it appears that Sinatra is looking for it. However, you'll actually need to create a new directory at the root of the application called 'public'. Add the stylesheet to the public directory and everything will work. Below is a sample application that has the full application structure.